Spending an Afternoon in Grossmont Center is Easy to Do! Grossmont Center Fountain. Image from SanDiegan.com. It’s almost the weekend, and we’ll bet that you’ve got a ton of errands to run. With Grossmont Center being home to dozens of shops and services, it’s a convenient location to get several things crossed off your list at once. With proper planning, you can be in and out in an hour or two and still have time for a little fun! First, run into Anna’s Linens and return those bed sheets you decided were the wrong color (darn!). As you finish putting away your receipt, stroll across the way to Barnes & Noble and grab that magazine you’ve been eyeing all week and a book on trains for your nephew’s birthday. Head down a little further and check out movie times. That new action flick would be perfect for date night tonight! You’re desperately in need of some new jeans, so you’ll have to try on a few pairs at Macy’s to get the best fit. Might as well try on a few tops while you’re at it, right? Once your new outfit is complete, head to the fragrance counter for a new bottle of your favorite scent. Drop off your watch to get the battery replaced at Time Zone, then go freshen up your toes with a pedicure (this is the perfect time to read that magazine, ladies!) or take a few moments to relax with a well-deserved massage. You’ve been busy today! 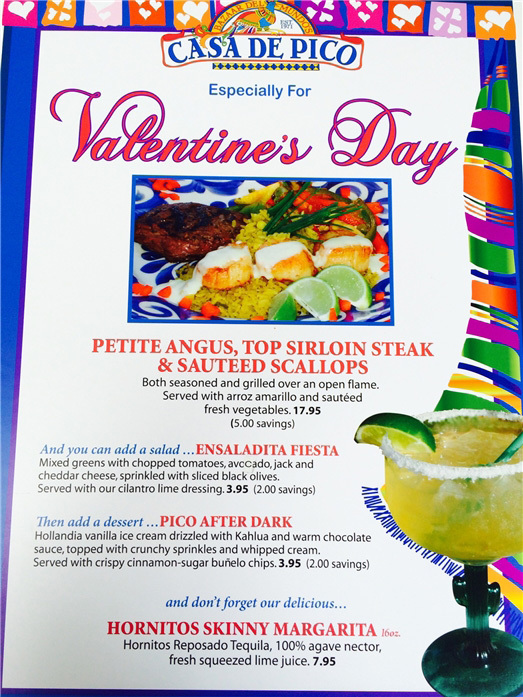 Now that you’ve worked up an appetite, it’s time to meet up with your special someone for an early dinner at Casa de Pico. With a satisfying selection of appetizers and entrées, we’re sure to have the right flavors to fit your mood. 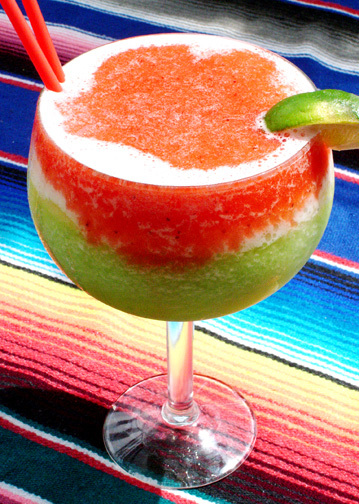 Enjoy your favorite dish with our famous birdbath margarita as you relish in the San Diego sun on our beautiful outdoor patio. After finishing up that fried ice cream you’ve been craving all week, it’s movie time! It’s been a fun and productive day at Grossmont Center. 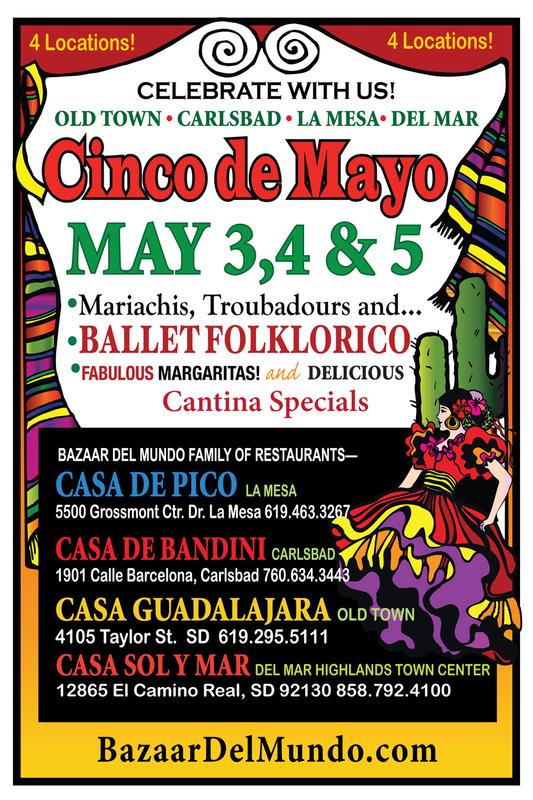 With so many things to do, Casa de Pico is proud to call La Mesa’s favorite shopping mall home. We hope to see you again soon! 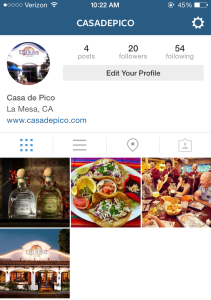 Casa de Pico is Now on Instagram! 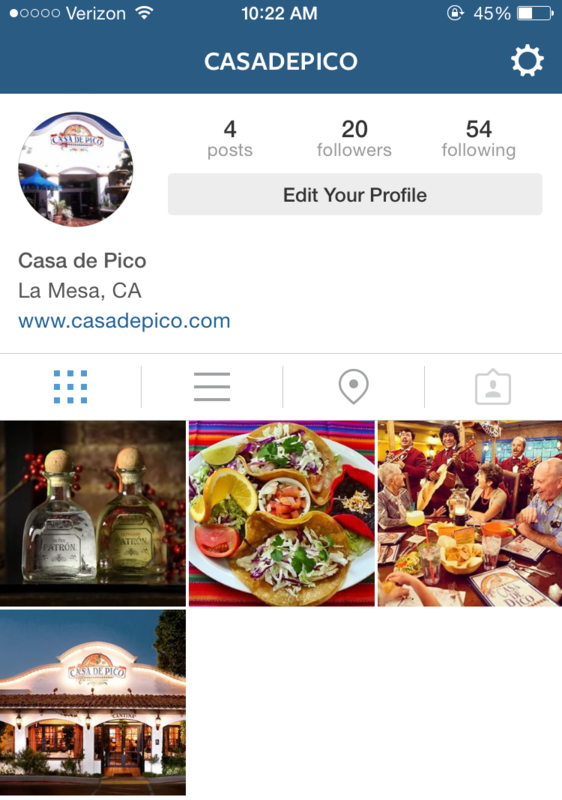 Casa de Pico is on Instagram! Follow us to get the latest on specials, events and ever-so-savory food photos. Make sure to tag #CasadePico on your pictures so we can like and share our favorites. Serving up festive fare and classic cocktails with a twist, Diane Powers’ award-winning Bazaar del Mundo restaurants – Casa de Pico, Casa Guadalajara, Casa de Bandini and Casa Sol y Mar – now present a unique menu that incorporates traditional holiday flavors into authentic Mexican offerings, available through the New Year. 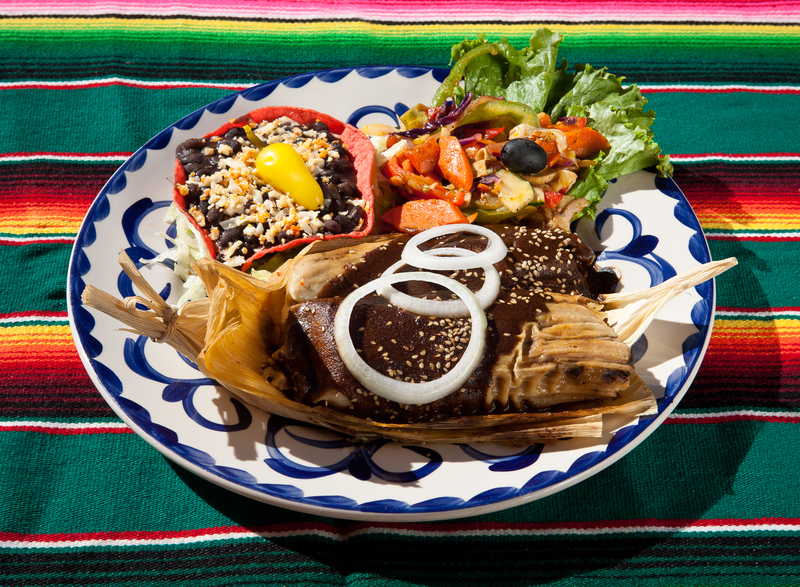 Seasonal entrees featured are Chipotle Cranberry Chicken, Enchiladas Navidañes and Holiday Turkey Tamales. 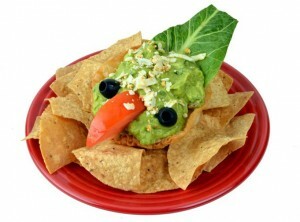 It’s Spring – Eat Green! And of course, we can’t forget our tasty (and cute!) Concha de Guacamole. You’ll love this crispy flour tortilla with fresh guacamole, sprinkled with jack and cheddar cheese and served with chips. Happy New Year from our family at Casa de Pico! If you’re among the millions of Americans fighting to be fitter in 2014, you’ll be happy to know you don’t have to quit eating out. Our talented chef has prepared a number of authentic Mexican entrees bursting with flavor, that won’t ruin your resolutions! 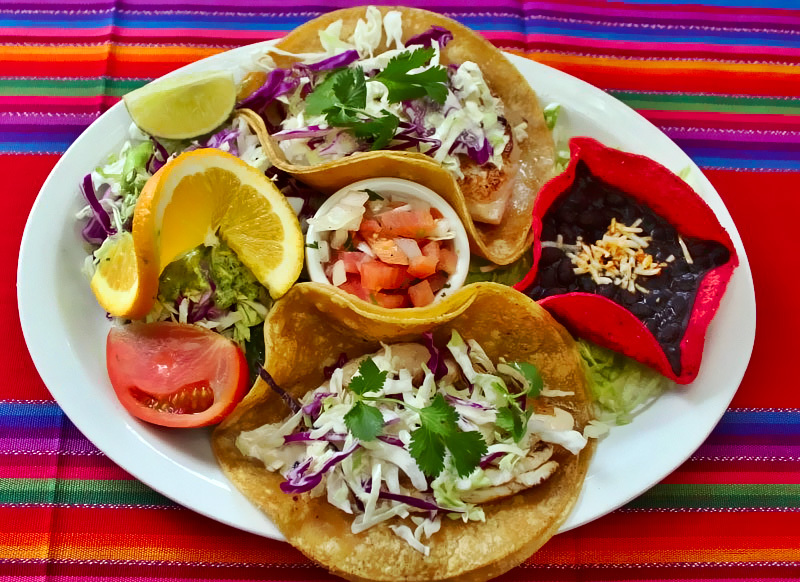 Our delicious Grilled Fish Tacos weigh in at 540 calories and come with two soft tacos with grilled fish, shredded cabbage and creamy jalapeño lime sauce, served with pico de gallo and black beans. 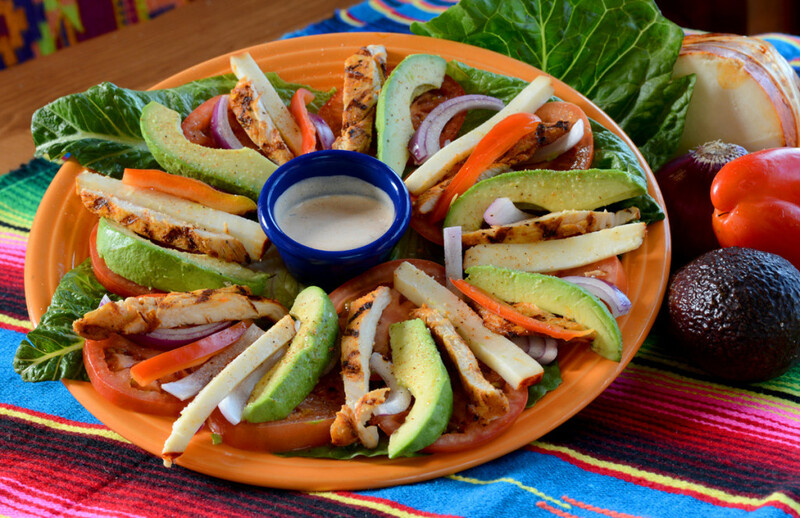 Our Chicken Fajita Salad will satisfy your taste buds, offering greens and sautéed chicken fajitas with tomatoes and onions, served in a crispy flour tortilla with guacamole – and only has 435 calories. 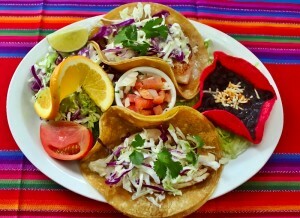 While you’re out-and-about at Grossmont Center enjoying the sales, join us at Casa de Pico for a shopping-break. Sip on a frosty margarita, nibble on the Fiesta Sampler and indulge in the Carne Asada Tampiqueña – and when you do, know that you are supporting a local business in your community. Small Business Saturday is a national campaign that rewards American Express users when they shop and dine at local businesses, making a contribution back to their communities. AmEx users who have pre-registered their card, will receive a credit back on their statement. 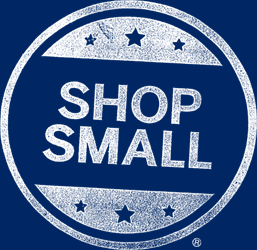 For more info about the campaign, visit: www.smallbusinesssaturday.com.